The default setting for your Mals cart is to have the gift vouchers entry box turned off. In order to allow your customers to use a gift voucher or coupon code during checkout, you must first set up your Mal's cart to have an entry area for those codes. 1. Log into your Mals account. 2. Navigate to the "Gift Vouchers" tab. 3. 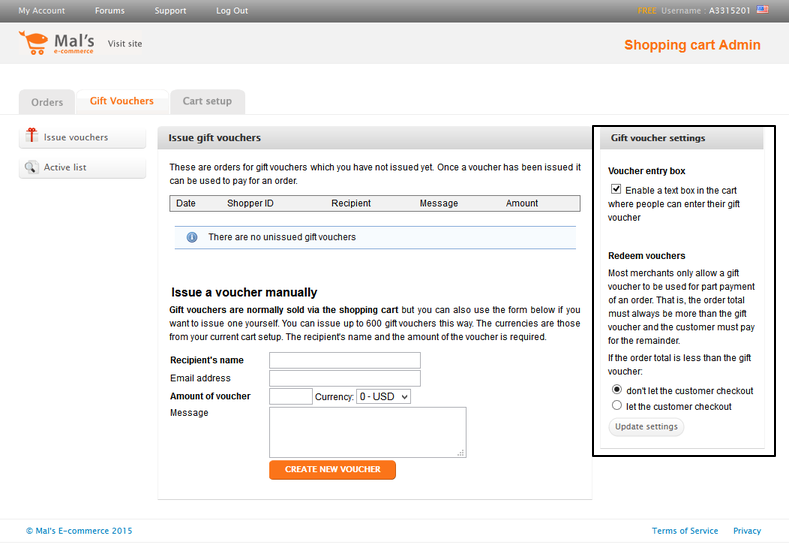 Check the box for "Enable a text box in the cart where people can enter their gift voucher".